The history of the United States Army began in 1775. From its formation, the United States Army has been the primary land based part of the United States Armed Forces. The Army's main responsibility has been in fighting land battles and military occupation. The Corps of Engineers also has a major role in controlling rivers inside the United States. The Continental Army was founded in response to a need for professional soldiers in the American Revolutionary War to fight the invading British Army. Until the 1940s, the Army was relatively small in peacetime. In 1947, the Air Force became completely independent of the Army Air Forces. The Army was under the control of the War Department until 1947, and since then the Defense Department. The U.S. Army fought the Indian Wars of the 1790s, the War of 1812 (1812–15), American Civil War (1861–65), Spanish–American War (1898), World War I (1917–18), World War II (1941–45), Korean War (1950–53) and Vietnam War (1965–71). Following the Cold War's end in 1991, Army has focused primarily on Western Asia, and also took part in the 1991 Gulf War and war in Iraq, and the war in Afghanistan. When the American Revolutionary War began in April 1775, the colonial revolutionaries did not have an army. Previously, each colony had relied upon the militia, made up of part-time civilian-soldiers. The initial orders from Congress authorized ten companies of riflemen. The first full regiment of Regular Army infantry, the 3rd Infantry Regiment, was not formed until June 1784. After the war, the Continental Army was quickly disbanded because of the American distrust of standing armies, and irregular state militias became the new nation's sole ground army, with the exception of a regiment to guard the Western Frontier and one battery of artillery guarding West Point's arsenal. During the War of 1812, an invasion of Canada failed, and U.S. troops were unable to stop the British from burning the new capital of Washington, D.C.. However, the Regular Army, under Generals Winfield Scott and Jacob Brown, proved they were professional and capable of defeating a major invasion by the regular British Army in the Niagara campaign of 1814. Between 1815 and 1860, the main role of the U.S. Army was fighting Native Americans in the West in the American Indian Wars, and manning coast artillery stations at major ports. The U.S. used regular units and many volunteer units in the Mexican–American War of 1846–48. At the outset of the American Civil War, the regular U.S. Army was small and generally assigned to defend the nation's frontiers from attacks by Indians. Following the Civil War, the U.S. Army fought more wars with Indians, who resisted U.S. expansion into the center of the continent. A combined conscript and volunteer force, the National Army, was formed by the United States War Department in 1917 to fight in World War I. During World War II, the Army of the United States was formed as a successor to the National Army. The end of World War II set the stage for the ideological confrontation known as the Cold War. With the outbreak of the Korean War, concerns over the defense of Western Europe led to the establishment of NATO. 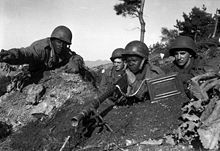 During the Cold War, American troops and their allies fought communist forces in Korea and Vietnam (see containment). The 1980s was mostly a decade of reorganization. The Army converted to an all-volunteer force with greater emphasis on training and technology. By 1989, the Cold War was nearing its conclusion. The Army leadership reacted by starting to plan for a reduction in strength. After Desert Storm, the Army did not see major combat operations for the remainder of the 1990s. After the September 11 attacks, and as part of the War on Terror, U.S. and other NATO forces invaded Afghanistan in 2001, replacing the Taliban government. The Army took part in the U.S. and allied 2003 invasion of Iraq. The Continental Army of 1783–84 was succeeded by the United States Army, which persists to this day. As peace was closed with the British, most of the regiments were disbanded in an orderly fashion, though several had already been diminished. After the war the Continental Army was quickly disbanded as part of the American distrust of standing armies, and irregular state militias became the new nation's sole ground army, with the exception of a regiment to guard the Western Frontier and one battery of artillery guarding West Point's arsenal. However, because of continuing conflict with Indians, it was soon realized that it was necessary to field a trained standing army. The first of these, the Legion of the United States, was established between June and Nov. 1792 at Fort Lafayette, Pennsylvania, under Major Gen. "Mad" Anthony Wayne. The newly formed Legion moved in Dec. 1792 to an encampment downriver on the Ohio near Fort McIntosh named Legionville for training. In Sept. 1793, the Legion moved by barge down the Ohio to a camp named Hobson's Choice two miles from Fort Washington (Cincinnati) on the western frontier. There it was joined by units from the Kentucky Militia. Their assignment was to advance to the site of St. Clair's earlier defeat, recover the cannons lost there, and continue to the Miami capital at Kekionga to establish U.S. sovereignty over northern and western Ohio and beyond. A month later, the combined force under Wayne and Brigadier General Scott of Kentucky advanced northward into Indian territory beyond the northern outpost Fort Jefferson to establish the first in a succession of frontier forts on Ohio's western border named Fort Greene Ville. The northern campaign culminated in victory at the Battle of Fallen Timbers in Aug. 1794 near what is today the modern city of Toledo, Ohio near the Ohio/Michigan border. The legion then advanced unopposed to Kekionga in northern Indiana near the Ohio border and established Fort Wayne at the site of the future city. The Treaty of Greenville in 1795 brought peace to the northern Ohio frontier and opened eastern and southern Ohio to settlement. The legion established other forts after Fort Wayne, notably Fort St. Mary's in western Ohio, and the settlement that grew up there was the site of several significant treaties in 1818. 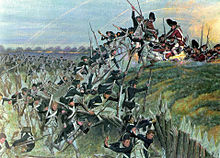 After Wayne's death in 1796, command of the legion passed to Wayne's executive officer and commandant of Fort Washington, Brig. Gen. James Wilkinson. The Legion was renamed the United States Army. At the outset of the American Civil War the regular U.S. army was small and generally assigned to defend the nation's frontiers from Indian attacks. As one after another Southern state seceded many experienced officers and men resigned or left to join the Confederate States Army, further limiting the regular army's abilities. While the Confederacy suffered from a worsening lack of adequate supplies, the Union forces typically had enough food, supplies, ammunition and weapons. The Union supply system, even as it penetrated deeper into the South, maintained its efficiency. The key leader was Quartermaster General Montgomery C. Meigs. Union quartermasters were responsible for most of the $3 billion spent for the war. They operated out of sixteen major depots, which formed the basis of the system of procurement and supply throughout the war. As the war expanded, operation of these depots became much more complex, with an overlapping and interweaving relationship between the Army and government operated factories, private factories, and numerous middlemen. The purchase of goods and services through contracts supervised by the quartermasters accounted for most of federal military expenditures, apart from the wages of the soldiers. The quartermasters supervised their own soldiers, and cooperated closely with state officials, manufacturers and wholesalers trying to sell directly to the army; and representatives of civilian workers looking for higher pay at government factories. The complex system was closely monitored by congressmen anxious to ensure that their districts won their share of contracts. Following the Civil War, the U.S. Army fought a Series Of Wars with Native Americans, who resisted U.S. expansion into the center of the continent. By the 1890s the U.S. saw itself as a potential international player. The Army played a central role in winning the Spanish–American War of 1898 and the less well known Philippine–American War of 1899–1901. In June 1877, in the Nez Perce War the Nez Perce under Chief Joseph, unwilling to give up their traditional lands and move to a reservation, undertook a 1,200 mile fighting retreat from Oregon to near the Canada–US border in Montana. Numbering only 200 warriors, the Nez Perce battled some 2,000 American regulars and volunteers in a total of eighteen engagements, including four major battles and at least four fiercely contested skirmishes." The Nez Perce were finally surrounded at the Battle of Bear Paw and surrendered. Because of the mobilization difficulties experienced with the Maneuver Division, on 15 February 1913 a standing organization of a "regular army organized in divisions and cavalry brigades ready for immediate use as an expeditionary force or for other purposes..." and "an army of national citizen soldiers organized in peace in complete divisions and prepared to reenforce the Regular Army in time of war" was organized by Secretary of War Henry L. Stimson and known as the "Stimson Plan." The continental United States was divided into four geographic departments (Eastern, Central, Western, and Southern) and a regular army division assigned to each, and 12 geographic districts, each with a national guard infantry division assigned. 32 of the 48 state governors committed their national guards to support of the plan. There were also three artillery commands: the Northern Atlantic Coast Artillery District, the Southern Atlantic Coast Artillery District, and the Pacific Coast Artillery District. At its greatest size the National Army had more than six million men out of which 2 million fought on western front . Promotions within the National Army were quick, with most United States Army officers receiving double and triple promotions within a space of only two years. [disputed – discuss] For example, Dwight D. Eisenhower entered the National Army as a captain and was a lieutenant colonel one year later. Douglas MacArthur also advanced quickly in the National Army, rising from major to brigadier general in two years. The United States joined World War I in April 1917. Because of the necessary period of training before the units were moved overseas, the first elements of the American Expeditionary Forces arrived in June 1917. Their first actions of the Western Front came in October 1917. U.S. troops contributed to the offensive that finally broke through the German lines. With the armistice on 11 November 1918, the Army once again decreased its forces. Shortly after the war, in 1948, the Women's Armed Services Integration Act gave women permanent status in the Regular and Reserve forces of the Army. During the 1950s, the Pentomic reorganization shifted the basic tactical unit from the regiment to the five-company battle group. Armored divisions did not change during the Pentomic era. Instead of brigades, an armored division had three Combat Commands designated: CCA, CCB, and CCC. On 16 December 1960, the Army Chief of Staff directed a reappraisal of division organization. Resulting studies were carried out between January and April 1961, and fully implemented by 1965. The resulting Reorganization of Army Divisions (ROAD) program shifted all types of divisions (Mechanized, Airborne, Armor, Infantry and Cavalry) to an identical structure of three brigades of three (sometimes four) battalions. The ROAD division consisted of a mix of nine to twelve armor and infantry battalions assigned to the division to meet the expected needs of the division based on its Mission, the likely Enemy, the Terrain/weather, and other forces available or Troops (METT). 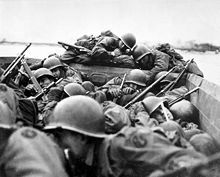 Each brigade would be assigned or attached the mix of battalions and companies based on the division commanders estimate based on METT. As operations continued, the division commander could task organize subordinate units as needed by the flow of the battle. The 1st Air Cavalry in Vietnam had nine battalions spread as needed between the three brigade headquarters, but often moved the equivalent of one battalion each day by airlift from one side of the battefield to the other. An infantry battalion in 1st Infantry Division in Vietnam could expect having the number of companies under his command change at least once a day, with companies from different divisions not uncommon. In the "Heavy" divisions in Europe, a tank or infantry company could find itself moved to other battalions more than once a week, and to another brigade as needed. The 1980s was mostly a decade of reorganization. The Army converted to an all-volunteer force with greater emphasis on training and technology. The Goldwater–Nichols Act of 1986 created Unified Combatant Commands bringing the Army together with the other three military branches under unified, geographically organized command structures. The Army also played a role in the invasions of Grenada in 1983 (Operation Urgent Fury) and Panama in 1989 (Operation Just Cause). During the mid-late 1990s, the Army trialled Force XXI. One of its initiatives was Task Force 21 (also called Task Force XXI), a battlefield digitized brigade formed for the Advanced Warfighting Exercises in 1997 to test Force XXI concepts, technology, and tactics. The brigade was formed from the 4th Infantry Division (which replaced the deactivated 2d Armored Division in 1992) and the 1st Cavalry Division as early as 1992, with some field testing beginning at Fort Hood in late 1992, early 1993. The 4th Infantry Division units assigned were 3–66 Armor and 1–22 Infantry, both of the 3d Brigade, while 1st Cavalry Division drew soldiers across a variety of support and combat fields. ^ John Missall and Mary Lou Missall, The Seminole Wars: America's Longest Indian Conflict (University Press of Florida, 2004). ^ K. Jack Bauer, Zachary Taylor: Soldier, Planter, Statesman of the Old Southwest (1985). ^ Russell Weigley, Quartermaster General of the Union Army: A Biography of M.C. Meigs (1959). ^ Spencer C. Tucker (2011). The Encyclopedia of North American Indian Wars, 1607–1890: A Political, Social, and Military History. ABC-CLIO. p. 140. ISBN 9781851096039. ^ Jason Hook; Martin Pegler (2001). To Live and Die in the West: The American Indian Wars, 1860–90. Taylor & Francis. p. 36. ISBN 9781579583705. ^ Steven Thomas Barry, Battalion Commanders at War: U.S. Army Tactical Leadership in the Mediterranean Theater, 1942–1943 (University Press of Kansas; 2013) examines the tactical adaptability and crucial leadership of battalion-level commanders in North Africa and Sicily. ^ "Women In Military Service For America Memorial". Womensmemorial.org. 1950-07-27. Archived from the original on 2013-06-22. Retrieved 2015-08-09. ^ Wilson (1997). Chapter XII, for references see Note 48. ^ "Army National Guard Constitution". Archived from the original on 2009-04-30. Retrieved 2010-03-24. ^ Shear, Jeff, "America in the Hands of a Professional Military Archived 2011-04-18 at the Wayback Machine", Miller-McCune, 15 April 2011. ^ http://www3.ausa.org/webpub/DeptAUSANews.nsf/byid/CCRN-6CGMTQ[permanent dead link] The 38th Infantry Division was the last formation to lead the Task Force. ^ Mark D. Sherry, The Army command post and defense reshaping 1987–1997, Center for Military History, 2008, 53. ^ US army suicides set for new high, BBC, 1 February 2008. Bluhm, Jr, Raymond K. (Editor-in-Chief); et al. (2004). U.S. Army: A Complete History (Beaux Arts ed.). Arlington, VA: The Army Historical Foundation. p. 744. ISBN 978-0-88363-640-4. Coumbe, Arthur T. A History of the U.S. Army Officer Corps, 1900–1990 (2014). Carlisle, PA : Strategic Studies Institute, U.S. Army War College Press. Newell, Clayton R. The Regular Army before the Civil War, 1845–1860. Washington, DC: Center of Military History, United States Army, 2014. Richard W. Stewart, ed. (2004). American Military History Vol. 1: The United States Army and the Forging of a Nation, 1775–1917. Washington, D.C.: United States Army Center of Military History. ISBN 0-16-072362-0. CMH Pub 30–21. ; Richard W. Stewart, ed. (2004). American Military History Vol. 2: The United States Army in a Global Era, 1917–2003. Washington, D.C.: United States Army Center of Military History. CMH Pub 30–22.